Last week of January, 2012, I hopped on a bus to Congee Beach and walked up the coast line on a really nicely constructed walking path that skirts the coast for 6 KM up to Bondi Beach. The point north of Congee is notable for a metal and concrete memorial to the Australians killed in a bomb attack on a tourist club in Bali. Reported sightings of the Virgin Mother Mary have brought a home-made memorial nearby. The walk follows the limestone cliffs, park land, playing fields, past houses with expensive views, old boat houses, and fancy flats. There’s also a huge cemetery overlooking this segment of the ocean. 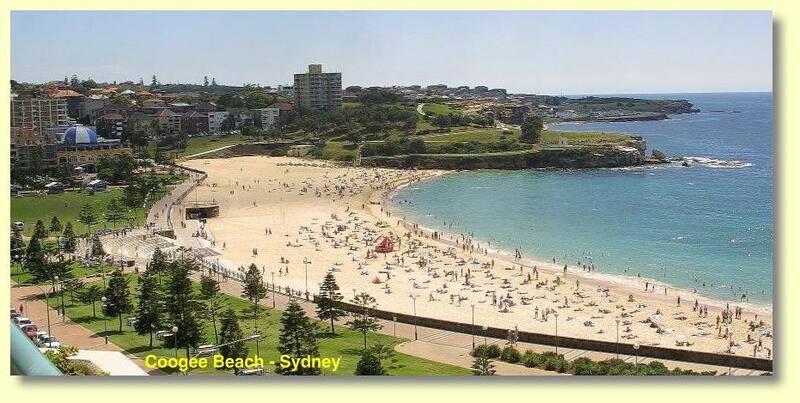 Bondi is famous for surfing and the sun-tanning body culture. The surf-life guarding tradition is active in all the beach front communities. Strolled through the Bondi Pavilion, built in 1928 and opened in 1929. Wandered into a large exhibition space and spoke with photographer Hilton Luckey about Australian surfing traditions, the manly-matey culture, and the alt lifestyle back in the day. Reminded me of Santa Cruz, Big Sur and points south during the mid 1970s when we would sleep in vans or under the stars, and pass the time hiking in the forests or lolling on the beach. Did the strong gut ”’get-‘er-done” ethos from Australia migrate cross the Pacific? I don’t know. The coastal path was well marked and graded with stair and teak railings for elevated areas. While the sun burned down, the physical part was easy for me and the infrastructure is so highly developed that there are filtered water dispensers and fountains every kilometer or so. After slurping down a chocolate milkshake from the beach bar at Clovelly (Shark Point on the map) I paused to paint a little watercolor. My idea of paradise — walk, look, paint. At the end of the day, I watched young surfers, then took another bus back to town.